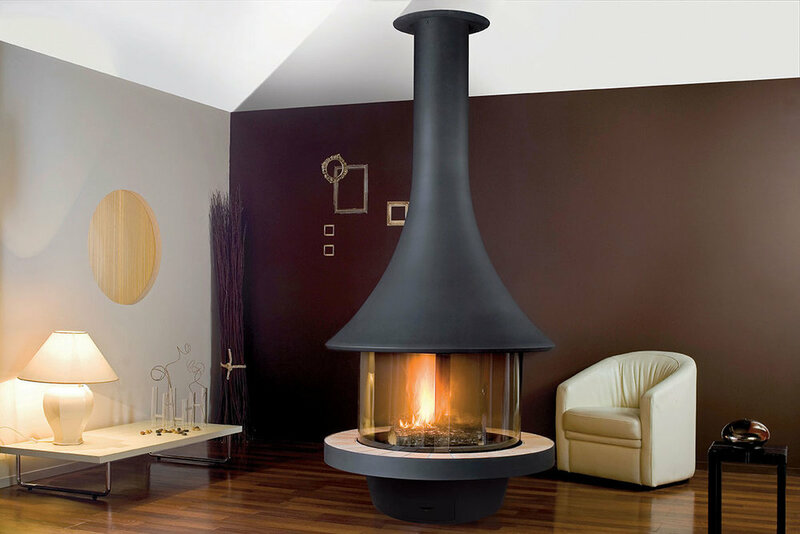 FRENCH FIREPLACE DESIGN IN CANADA. 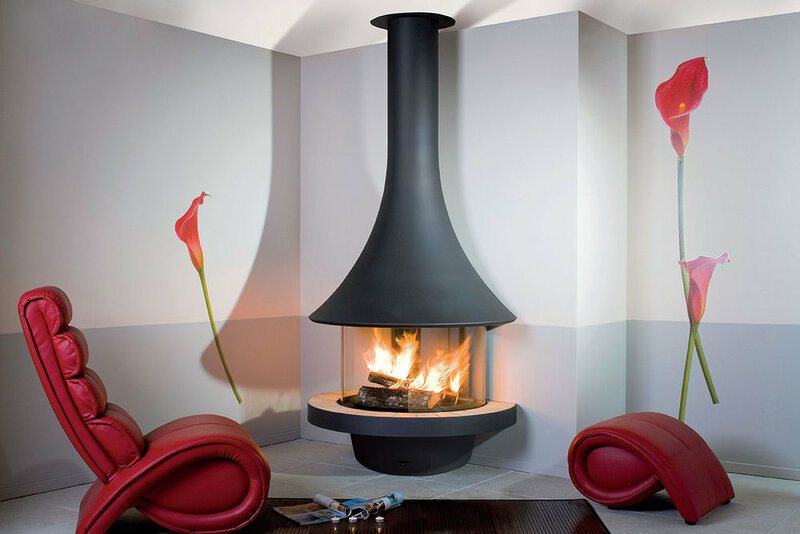 Eva 992 Series fireplaces provide more than just warmth - they showcase superior fire engineering and design. 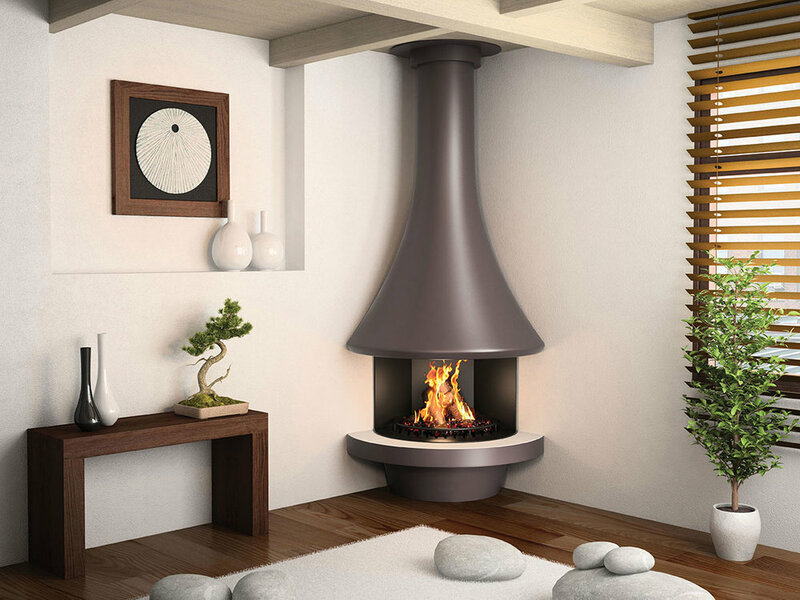 Soft structural lines are juxtaposed against a cold steel frame to create a fireplace that adds architectural interest to any space it inhabits. 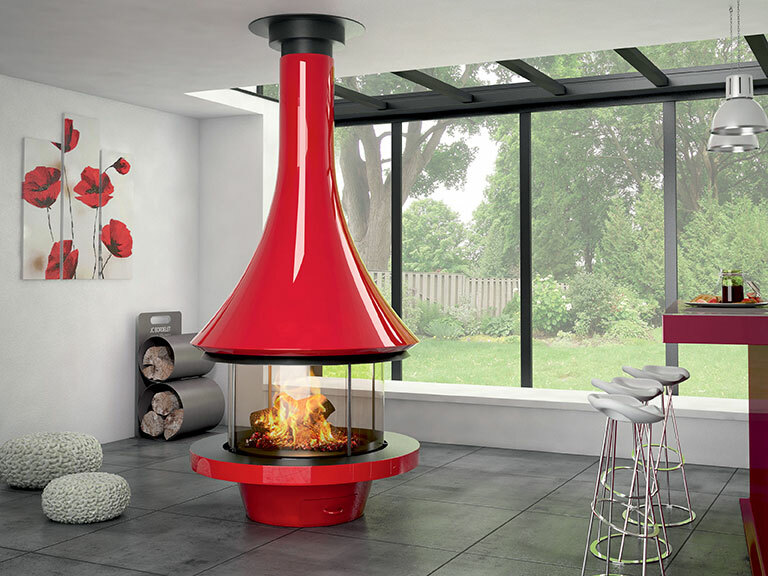 The Eva 992 Series by Bordelet features two styles of freestanding woodburning fireplaces. Eva 992 Centrale is designed for installation as a central fixture, while Eva 992 Murale is designed for installation against a wall. 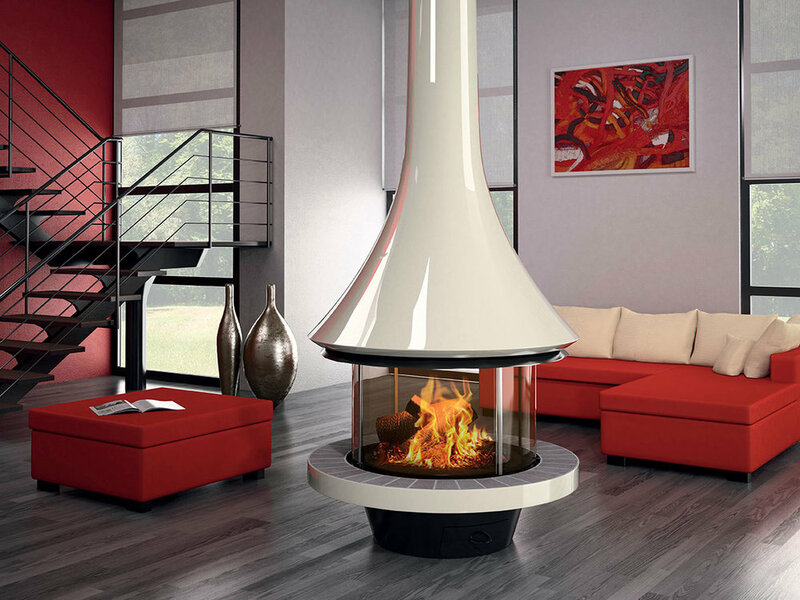 Both models can be easily converted to house a gas burner, and are available in open concept style or with a glass enclosure. They are available in a variety of colours.